We are proud to announce that Spring Valley Lake Association has selected Tinnelly Law Group as their association’s legal counsel. Spring Valley Lake (“SVL”) consists of 4,205 individually owned lots. SVL’s amenities include a 200 surface acre fresh water lake, a community building, an equestrian area and three parks. There is a privately owned and operated country club and golf course that meanders through the community. 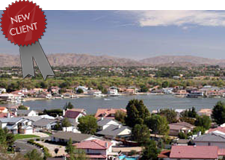 SVL is located in the High Desert region of Southern California between the borders of Victorville and Apple Valley. Our HOA attorneys and staff look forward to working with Spring Valley Lakes’ Board and management.